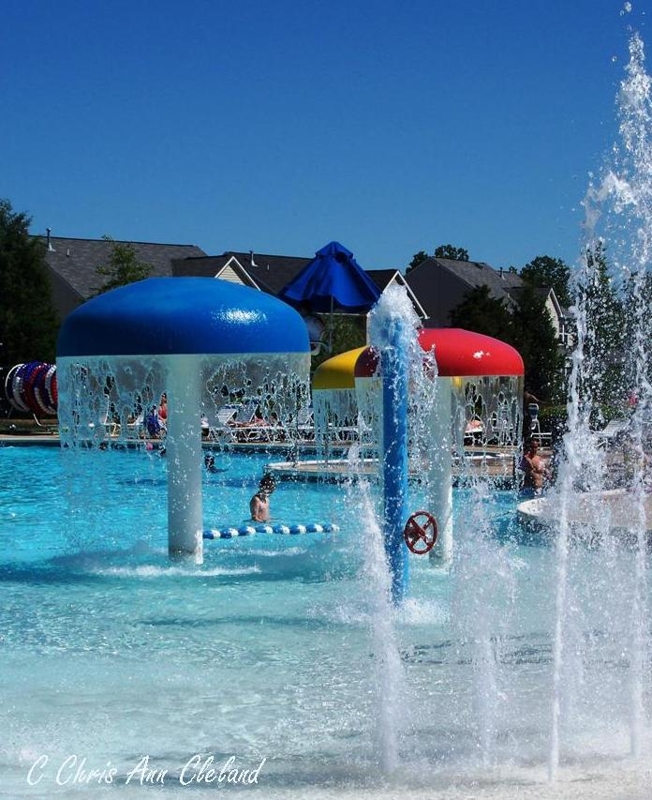 Braemar has added an additional Adult Swim to the summer calendar. Last year, Adult Swim happened from 8p-10p on Wednesdays. This year, 2011, it is happening from 8p-10p on Tuesday and Thursday nights at the Iona Sound pool. 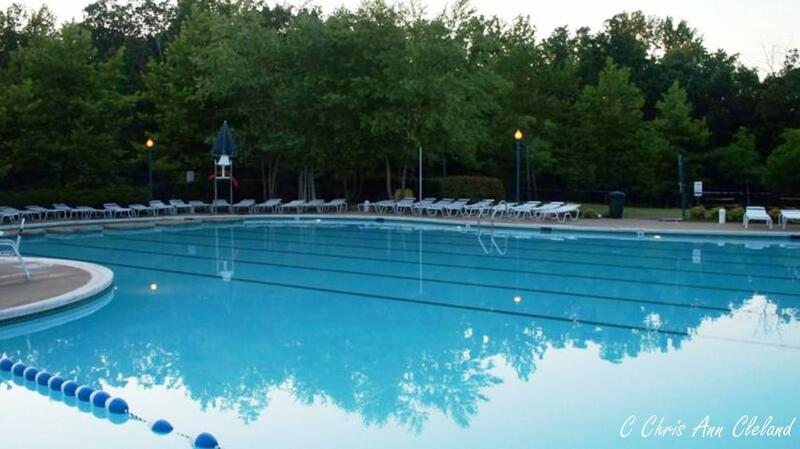 Adult Swim is a great chance to enjoy the pool without the little ones around. These time frames are for pool use for those 18 years of age or older. For more information, contact the on-site community management office at 703-361-8785. Braemar residents have two very cool retreats during the summer months–our two Braemar swimming pools. 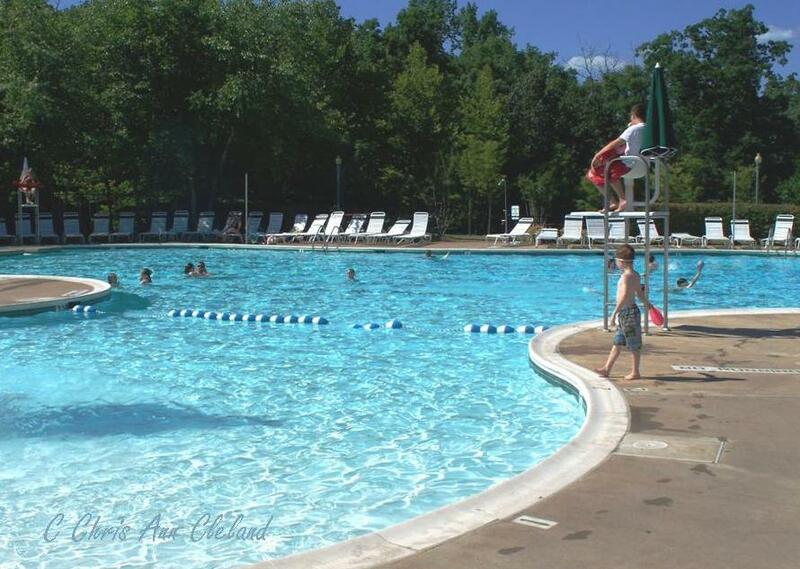 And with temps in the high 90’s or low 100’s, I’m sure the pools are seeing their fair share of Braemar residents. Before we drift away into thoughts of that cool pool water, let’s take a look back at the Braemar townhouse market during the months of May and June. As always, townhouses are divided by whether or not they have a garage into the categories of: Garage Townhouses and Townhouses with No Garage. 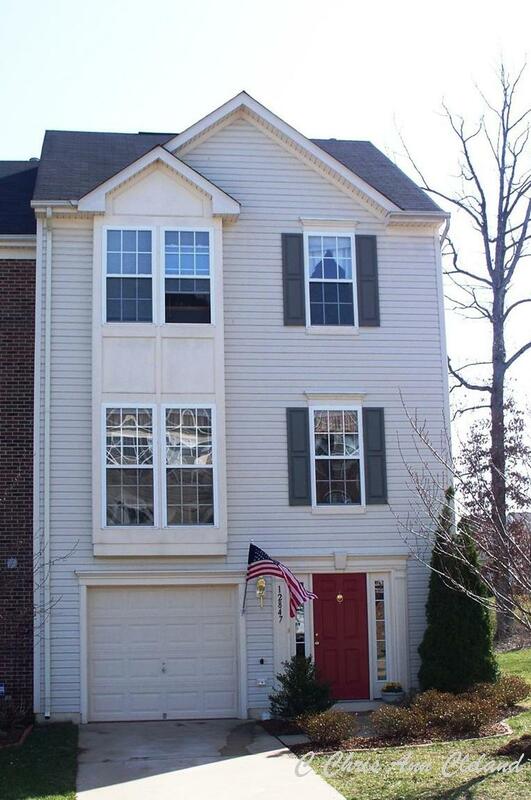 To begin, Townhouses with No Garage had two resales during the months of May and June. The average of their sales prices gives us a new average market value of $202,500 for a Braemar townhouse without a garage. That’s a decrease of over 11% in average market value since last report (March-April 2011,) and a decrease of over 3% since this time last year. If a Braemar townhouse owner (with no garage) put their home on the market and priced it to current market conditions, they could expect to be under contract in an average of 19 days. They could also expect a Buyer to ask for an average of 2% of the sales price in closing cost help. Braemar Garage Townhouses saw four resales during May and June. The average of their sale prices brings the average market value to $223,250. That’s a decrease of just ober 1% since last report (March-April 2011) and not much to even mention. Compared to this time last year, it’s nearly a 6% decrease in value. 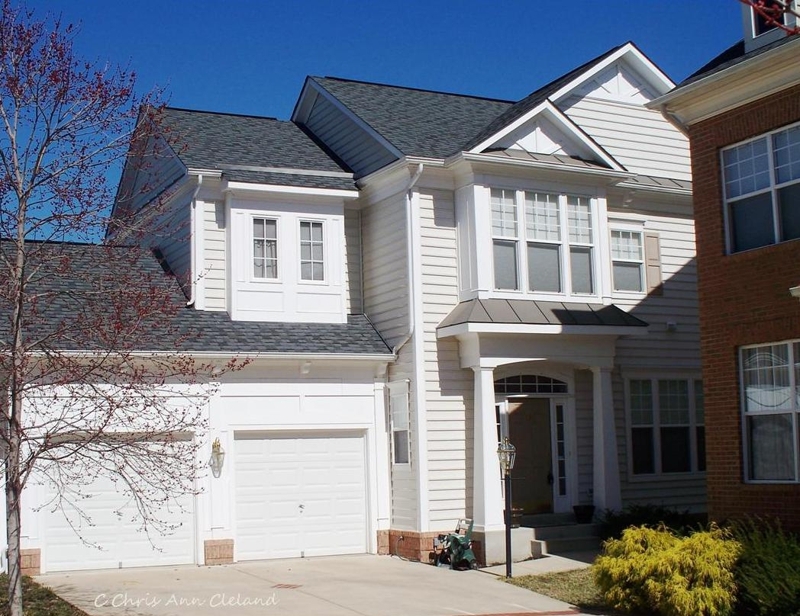 If you placed your Braemar garage townhouse on the market, priced to current market conditions, you could expect to be under contract in 31 days. You could also expect a Buyer to ask for an average of about 1.5% of the sales price in closing cost help. The next Braemar Townhouse Report will be out in September and will detail sales from the months of July and August. Until then, if you are thinking of selling your Braemar townhouse, I’d be happy to give you an estimate of your home’s specific value in the market. No matter your equity position I can help. I’ve been a full-time Bristow real estate agent and Braemar resident since 2005, and a Short Sale Agent since 2007. And remember, no one knows Braemar better! If it’s a hot day in Braemar, you can take refuge in one of the two community pools. And with temps in the 90’s most of July and August, I sure hope you’ll have time to enjoy some pool time. 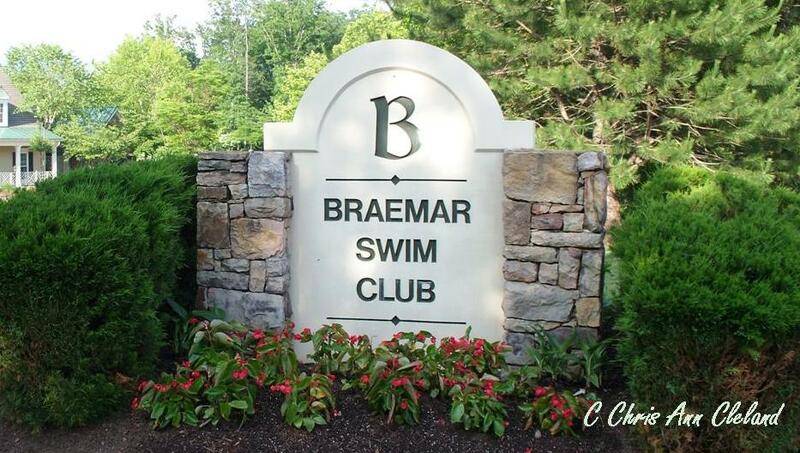 Before you dive into the pool, let’s take a quick look at the Braemar real estate market. This report will focus on the resale activity for Braemar Heritage Series homes for the months of May and June. In the event a bit confused about what Heritage Series homes in Braemar are…they are mid-sized single family homes, with attached two car garages and include in the following floor plans: Exeter, Yardley, Zachary and Waverly. Just like we saw last report (March-April 2011,) there were only two resales in the Heritage Series. One Yardley and one Zachery. The average of their sale prices give us our new average market value of $344,950. That’s up over 5% since last report. We’re still seeing a decrease in value of over 10% compared to this time last year, but it is nowhere near the near 30% year to year declines we’ve seen in recent year. Braemar Heritage home values are coming back up. If you placed your mid-sized Braemar home on the market, priced to current market conditions, you could expect your home to be under contract in less than two weeks. You could also expect a Buyer to ask for an average of 2.3% of the sales price in closing cost help. The next Braemar Property Value Report will be out in September and will detail sales from July and August. Until then, if you are thinking of placing your Braemar home on the market and want a more specific idea of your home’s value, I’d be happy to help. As a full time Bristow real estate agent since 2005 and a Short Sale Agent since 2007, I can help you no matter what your equity position. And remember, no one knows Braemar better! A rollercoaster ride in Braemar would be fun, but not when it comes to home values. Unfortunately, that’s the ride that Braemar Courtyard home owners have been on since our market values declined. And with May and June behind us, it gives us a chance to see if t he Braemar Courtyard Home values have gone up or down since last report. Before we go any further, a Braemar Courtyard home is a one of three different models that share a private courtyard driveway and have very small yards. Models include the Arlington, Ballston and Clarendon. Having seen the prior two reports recording only one Braemar Courtyard home sale, it is nice to see three resales this report. And oddly enough, we have one of each model represented in those resales. The average of their three sale prices gives a new average market value for Braemar Courtyard homes of $320,333. That’s a 5% increase since last report (March-April 2011.) Unfortunately there is no year to year comparison as there were no resales of Braemar Courtyard homes this time last year. And that’s not unusual for Braemar Courtyard homes. They are a very small percentage of the overall Braemar neighborhood and attract a very specific buyer that can sometimes be hard to find. If you placed your Braemar Courtyard home on the market, priced to current market conditions, you could expect to have it under contract in a little more than a month. You could also expect a Buyer to aks for an average of nearly 2% of the sales price in closing cost assistance. 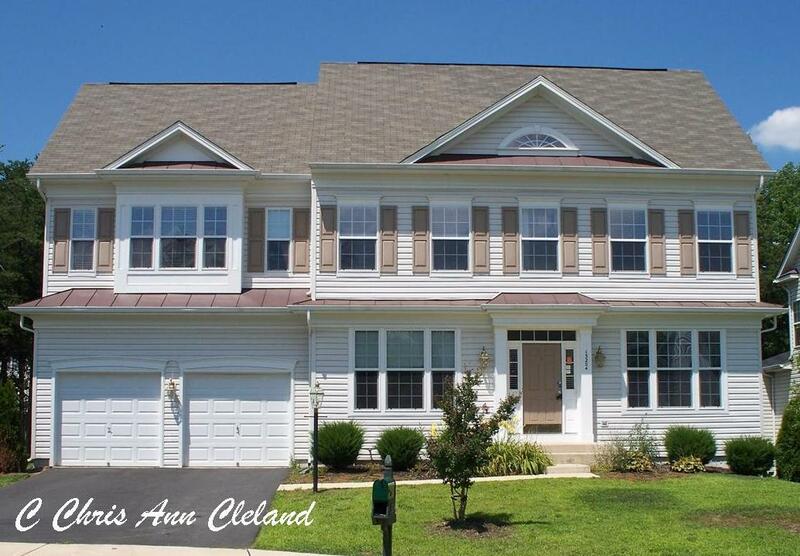 If you are looking to BUY, there is still a great deal in Braemar Courtyard homes in this listing off of Pentland Hills. 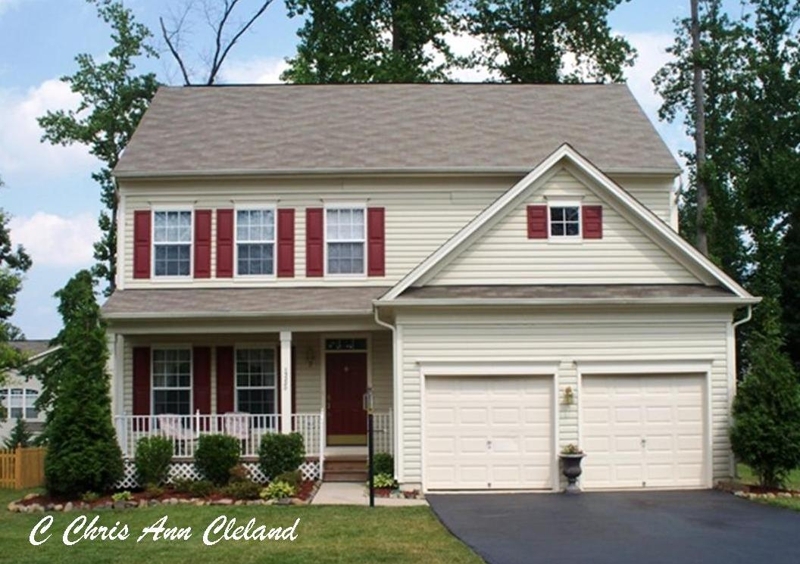 It’s a Ballston model in great shape and a healthy sale. It’s price has been reduced to $327,500! It has three bedrooms, three and a half bathrooms, a nicely updated kitchen and a double decker composite deck…just to mention a few items. 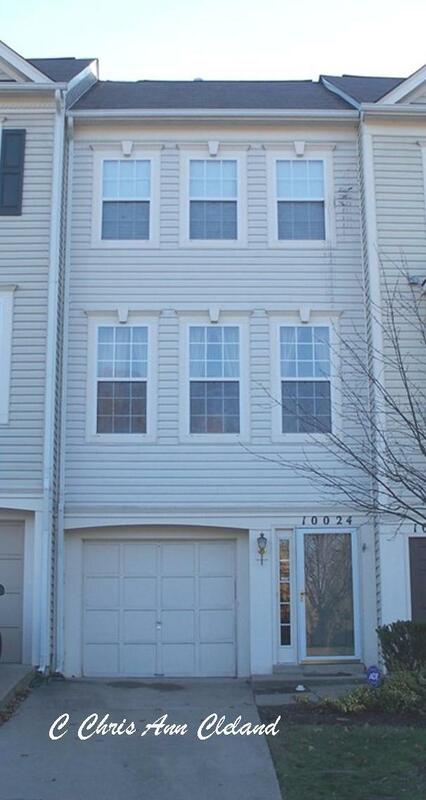 You can see the listing for that Braemar Courtyard home by clicking this link. The next Braemar Property Value Report will be out in September and will detail Braemar Courtyard home sales from July and August. Until then, if you are thinking of placing your Braemar Courtyard home on the market, I am happy to consult with you regarding your home’s specific value. As a full-time Bristow real esate agent since 2005 and a Short Sale Specialist since 2007, I can help you get top dollar for your Braemar home no matter your equity position. And remember, no one knows Braemar better! Summer is here and Braemar residents are having fun in the sun. There’s no doubt our two Braemar swimming poolsare seeing tons of activity. So is our real estate market. 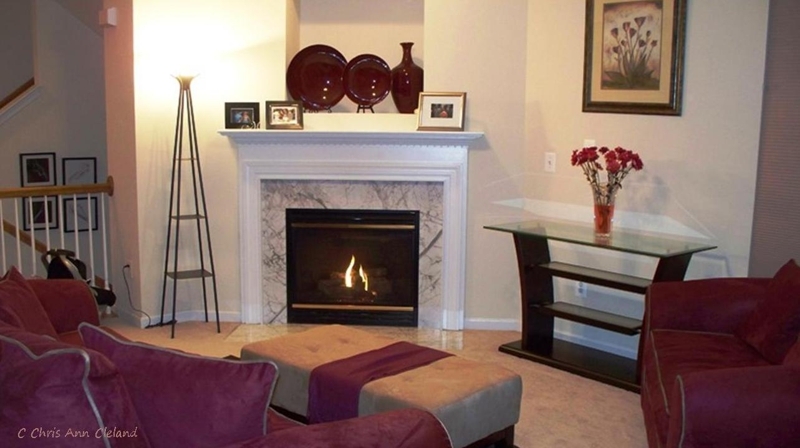 With May and June behind us, let’s take a look at the resale market of Braemar Carriage homes. There are four models of Carriage homes in Braemar and they include, from smallest to largest: the Maplewood, Norwood, Oakdale and Parkdale. These homes are most notably distinguished by their lack of attached garage. Some homes have a detached garage in the rear of the home, others do not. At the time of construction, garages were an option, therefore an additional expense. During May and June, there were seven Braemar Carriage home sales. And in those seven homes, there’s nearly two of every model, except for one Maplewood sale. The average of their sales prices gives us our new average market value for a Braemar Carriage home of $311,629. That’s down over 4% since last report (March-April 2011), but down slightly over 2% since this time last year. If you placed your Braemar Carriage home on the market, priced to current market conditions, you could expect your home to be under contract in less than one month’s time. That’s an improvement since the nearly one a half months wait we saw last report. You could also expect a buyer to ask for an average of slight more than 1/2% of the sales price in closing cost help. The demand for Braemar Carriage homes has always been high, despite the stumbles in market value. So if you are considering placing your Braemar Carriage home on the market, call me for a specific market analysis of your particular home’s value. As a full time Bristow real estate agent since 2005 and a Short Sale Specialist since 2007, I can help you sell you Braemar Carriage home no matter your equity position. And remember, no one knows Braemar better! Summer is in full swing in Braemar. What a great display of fireworks we saw on the Fourth of July in the neighborhood. So with May and June behind us, it’s time to take a look back at the resale activity for the larger single family homes in Braemar, built by Brookfield Homes, known as the Arista Series. 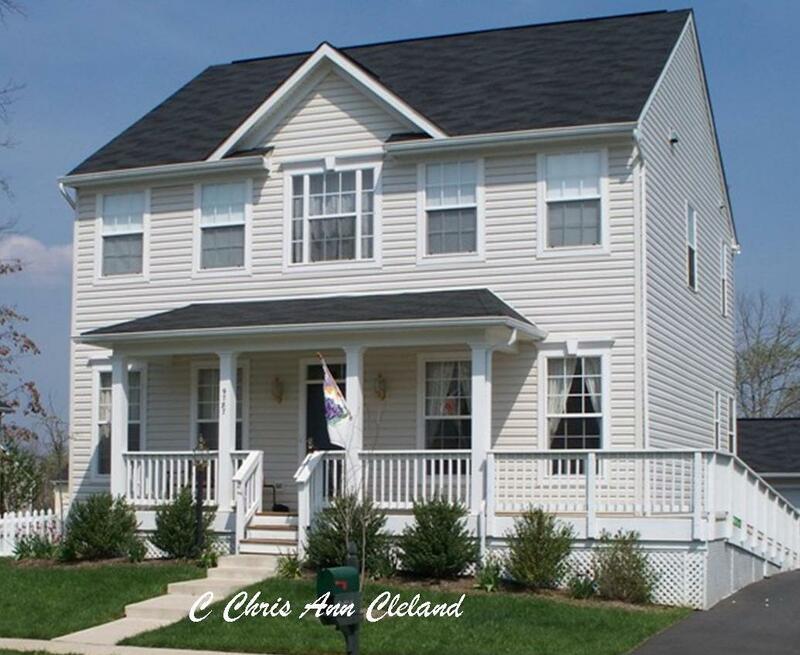 An Arista Series home will be one of three floor plans: Allister, Buckingham or Canterbury. There were three resales during May and June; all Canterbury models. Seems we’ve been adding one additional resale since the beginning of the year to each report. It’s nice to see that these larger homes in Braemar in are moving again. 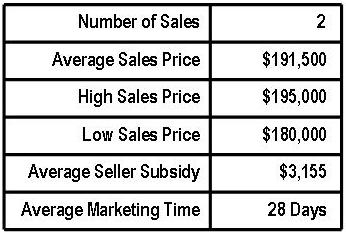 The average of these three sales brings the average market value for an Arista Series home in Braemar to $429,167. That’s a 3% decrease in average market value since last report (March-April 2011.) It is, however, nearly a 13% increase since this time last year. That is very good news to see a year over year increase in value. If you placed your Braemar Arista Series home on the market and priced it to current market conditions, this report indicates that you could have your home under contract in 79 days. You could also expect a Buyer to request an average of nearly 1.5% of the sales price in closing cost help. Nice to see that closing cost assistance number going down. We’ll keep an eye on the average days on market. The next Braemar Property Value Report will be out in September and will detail resales from July and August. Until then if you are thinking of selling your Braemar single family home, give me a call for a more specific evaluation of your home’s value. As a Braemar resident and full time real estate agent since 2005, and a Short Sale Specialist since 2007, I can help you sell your Braemar home no matter what your equity position. Remember, no one knows Braemar better! The second quarter of 2011 is officially behind us and the Braemar community pools are busy entertaining now that school is out. So what happened with Braemar condo resales during the second quarter of 2011? Well, just like the first quarter of the year, there were only two resales of Braemar condos during the second quarter. One was a Short Sale, the other a Foreclosure. And at the time of this report, there are two Short Sales under contract and one Short Sale active on the Braemar condo market. Clearly, the Braemar condo market is still dominated by Short Sales. The average sales price of those Braemar condo sales brings the average market value for Braemar condos down to $191,500 from $205,000 last quarter. That’s nearly a 7% drop in three months time. If you placed your Braemar condo on the market, and priced it to current market conditions, this report indicates that you could expect your condo to be under contract in about one month’s time. You could also expect a Buyer to ask for an average of about 1.6% of the sales price in closing cost help. The next Braemar Condo Quarterly will be out in June. Until then, if you are thinking of selling your Braemar condo, give me a call. As a full-time Bristow real estate agent since 2005, and Short Sale Specialist since 2007, I can help you no matter your equity position. Remember, no one knows Braemar better!